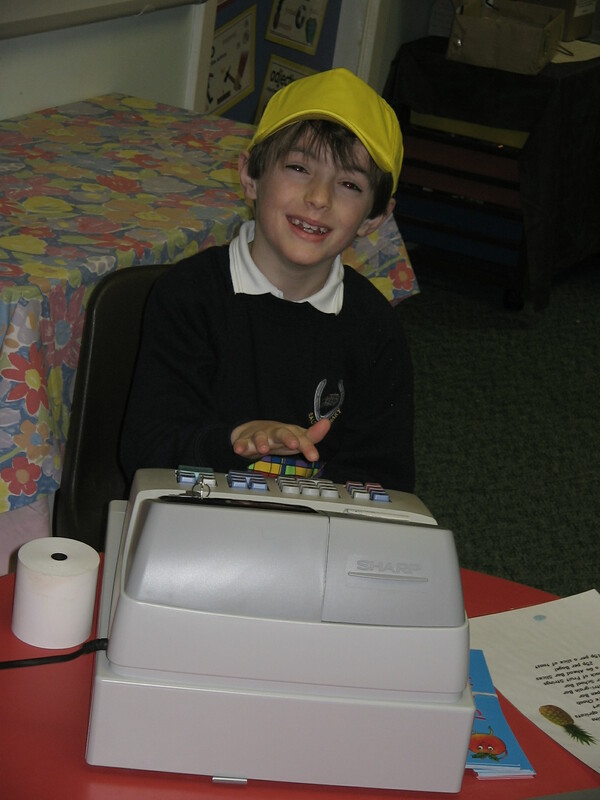 Pupils raised over a £1000 in the Easter holidays with their Fundraising Fiver enterprise projects! Wow! This is an incredible amount of money to raise. 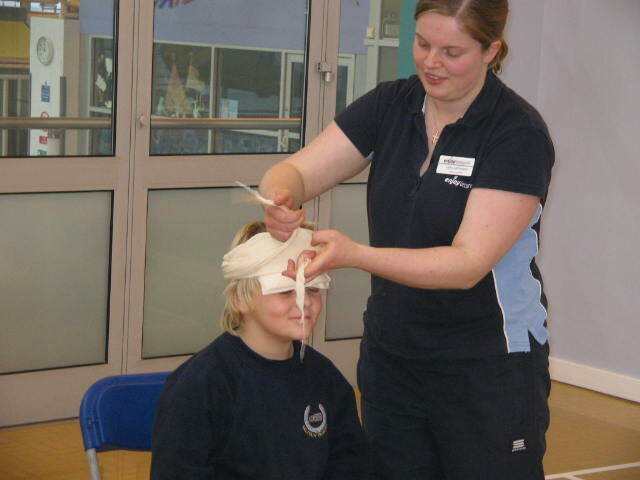 Pupils were really inventive and creative – sponsored walks, cake sales, trampolines, bob a job etc. 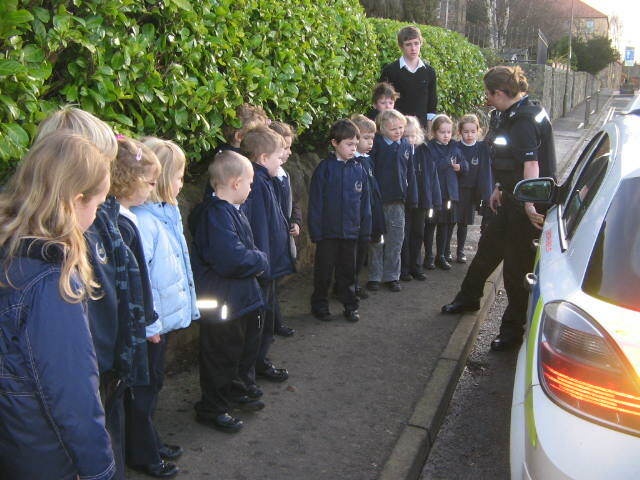 A huge thank you to all the nursery children, pupils and parents who participated! Lots of new Apprentices in the making! Some of the money raised has bought our hen hut. Ailsa Russell, who raised the most money, named one of the hens. She has decided to call it Henrietta. 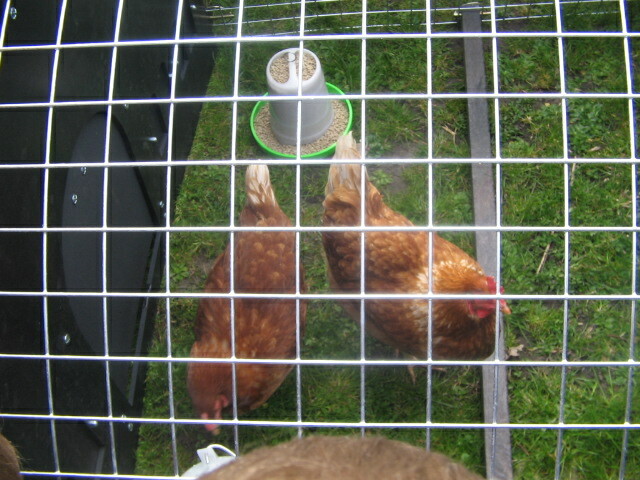 The other hens are called Pecky and Chupty! We had a hen party on Friday to celebrate. Primary 3/4 have made a new special place in our school community. It is for quiet time! It is called Rest ‘n’ Relax. In the area there are pillows and cuddly toys. There is a net surrounding it. It is communal throughout the school and there are rules to follow in it. Come and try our relaxing area if you like! Today the school got three new chickens. Mr K Morton arrived with our chickens and we even got to pet them. There will be a competition to name the chickens later on in the next few weeks. 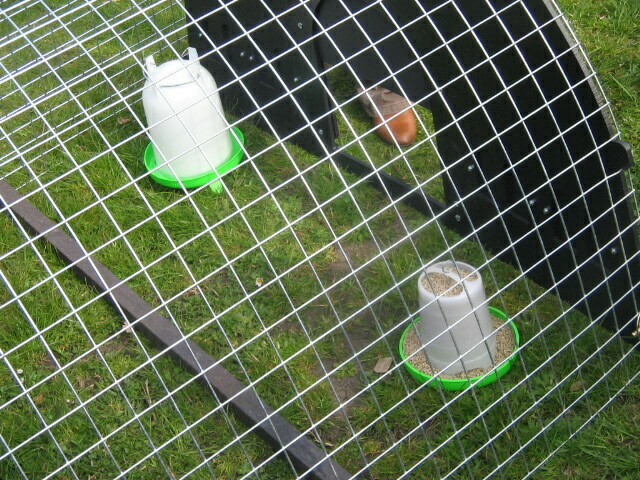 Hopefully they will lay some eggs as they are at the point of laying. 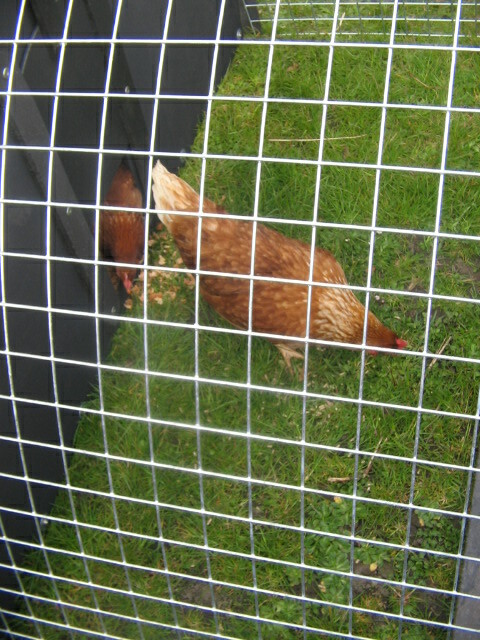 We are looking for parents or pupils to care for the chickens at the weekend. 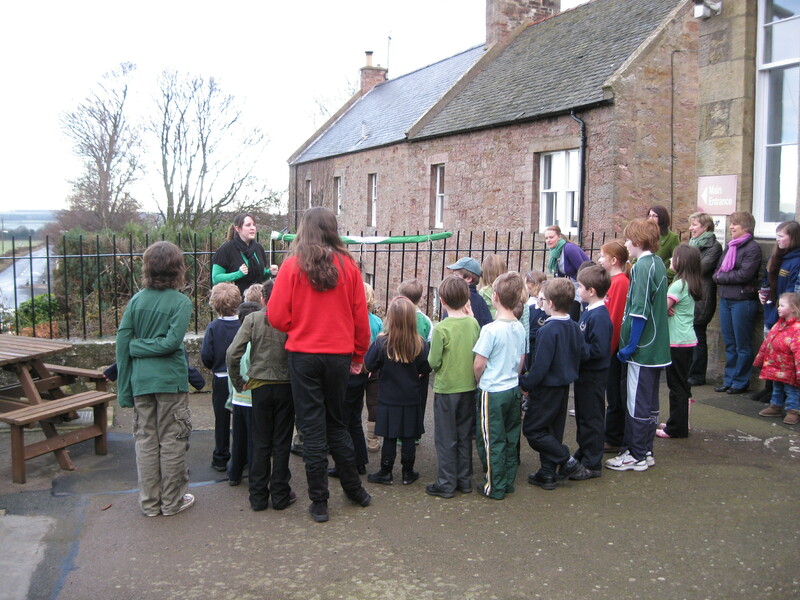 Now Saltoun Primary has the EGG factor. 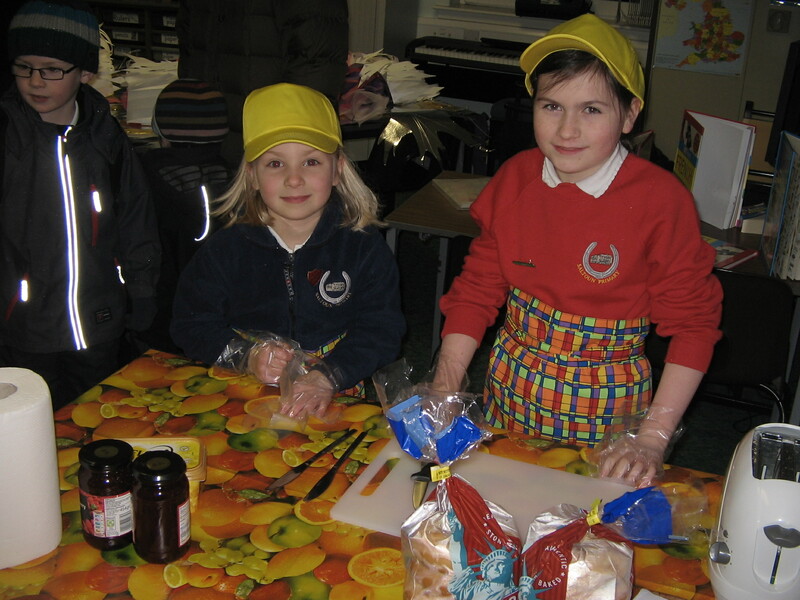 Our parent group H2H are running their enterprise project, Fundraising Fiver, again this Easter. It was very successful last year and the pupils ideas were very innovitive! Shirley has already been in to school assembly pupils will receive an envelope with their £5 before we break for holidays. 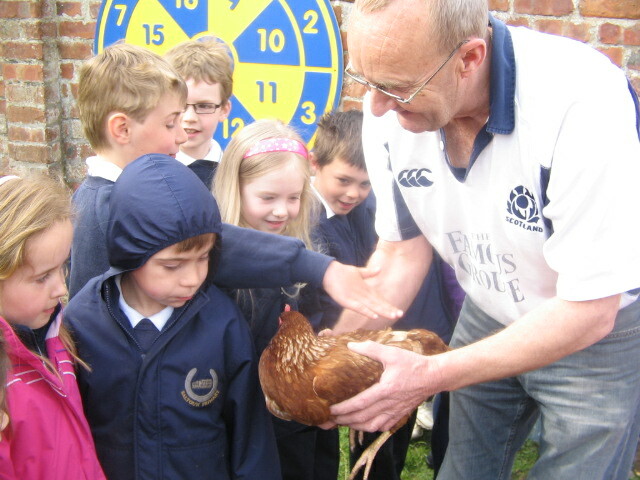 The Health/Eco Committee have decided to keep chickens in the school grounds and use their eggs in weekly health cookery lessons. Any money raised will help towards the cost of our chickens. As part of our Health and Wellbeing work, we are having a Jammin’ Fitness session on Tuesday 30th March. It is in the village hall and starts at 7pm. The instructor, Andy, will be teaching us techniques for stress busting. It is for adults only but anyone from the community is welcome……so spread the word! A big thank you to everyone who came along to celebrate with us today. 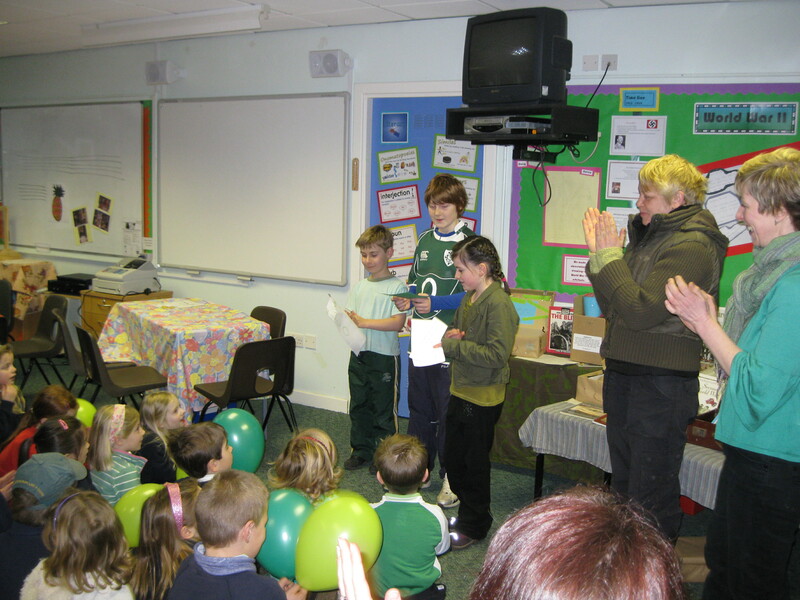 We all had great fun at the Green Flag party. 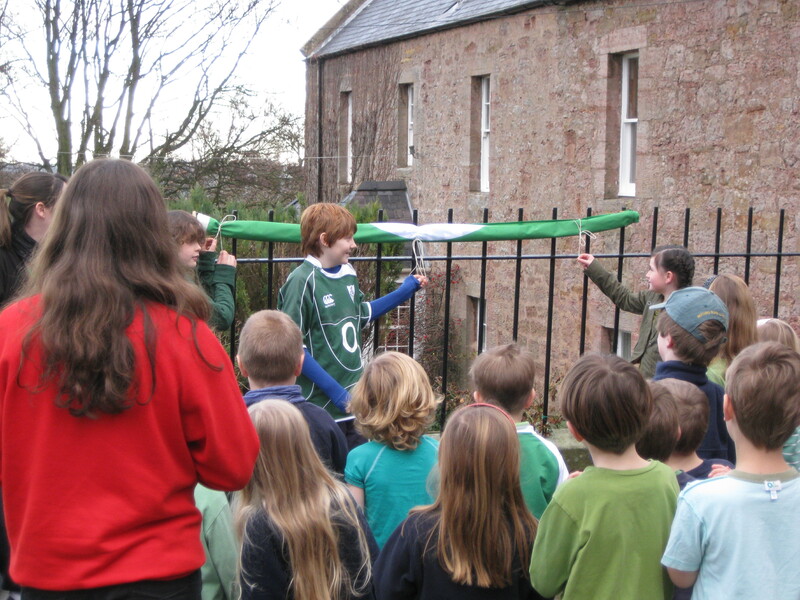 Hopefully our flag pole wont take too long to arrive! Looking forward to Green Flag Number 2! 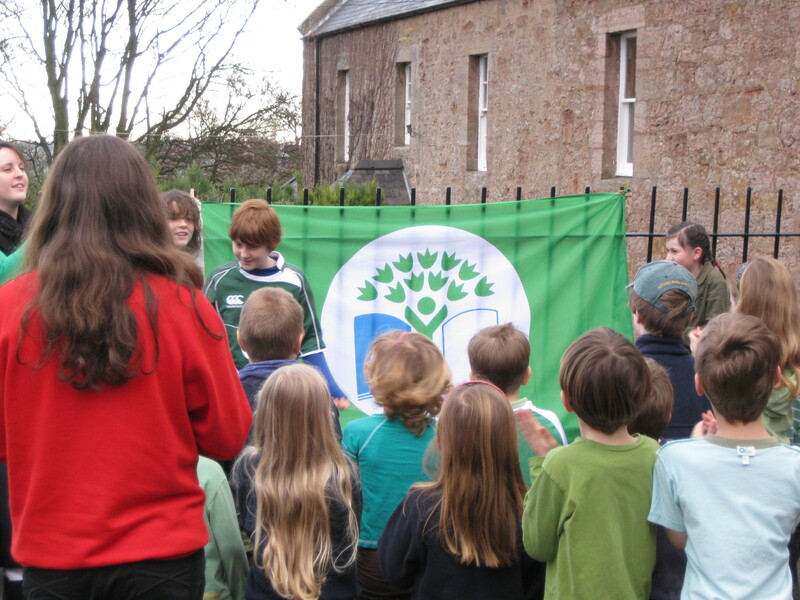 At Saltoun primary the pupils got an award for getting all there sticker in the dinner hall for healthy eating. For their reward they had a tea party, with the teachers serving. 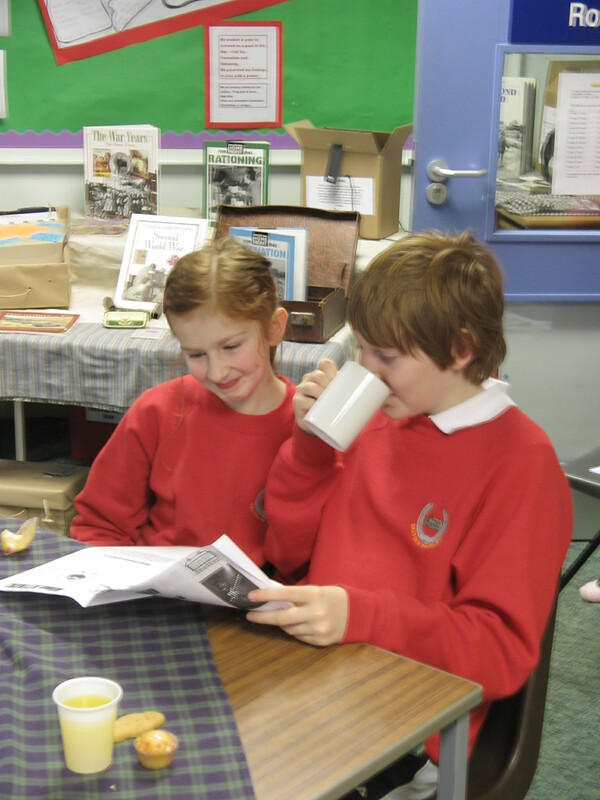 At the tea party the first issue of The Daily Saltoun went on sale. 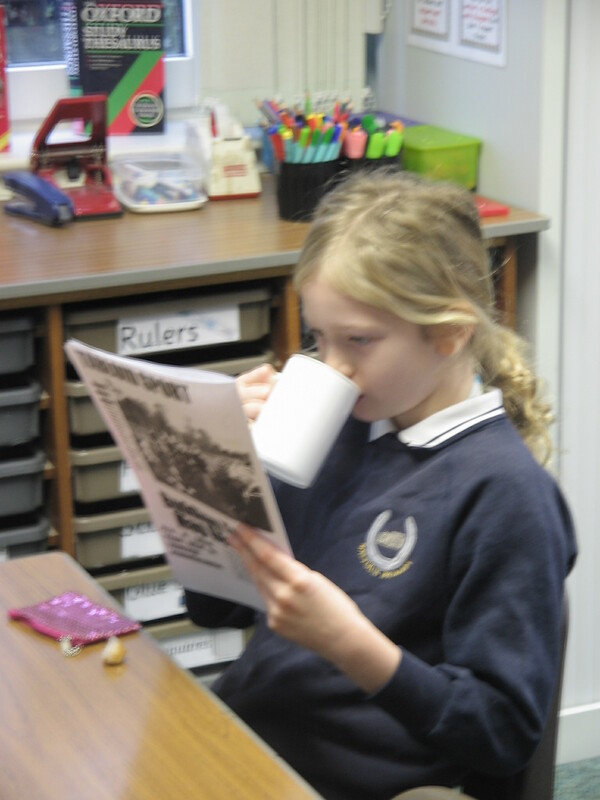 You can buy the newspaper at the Snack Shack on Thursdays for 30p. Pupils who get ‘The Star of the Week’ will be lucky enough to have a tea party with Mrs Birrell to celebrate their achievement. Thank you to everyone who came along to use the Snack Shack on Thursday. It was very busy and the staff worked hard to make sure everyone was served. We hope that you will use the Shack regularly. If there is a healthy snack that you would like to see stocked, please just let us know! This morning Steven and Daisy went shopping in Tesco to buy produce for the Snack Shack. They got lots of tasty treats including bagles and cereal bars. The snack shack will be open every Thursday from 8.30am. Be sure to come along! 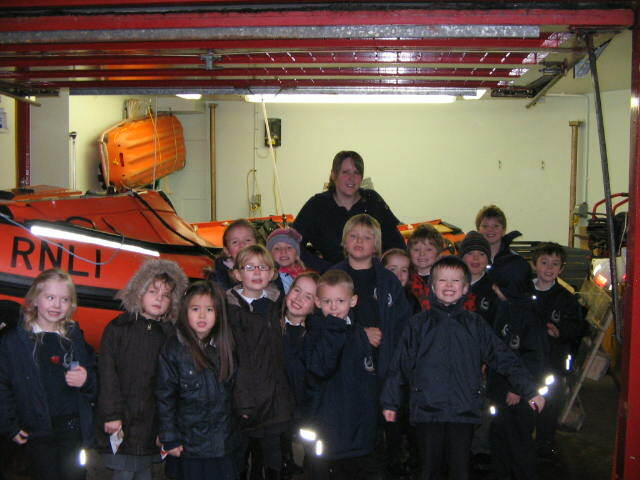 As part of our ‘People Who Help Us’ topic P1/2 visited Dunbar RNLI. We went on Tuesday. 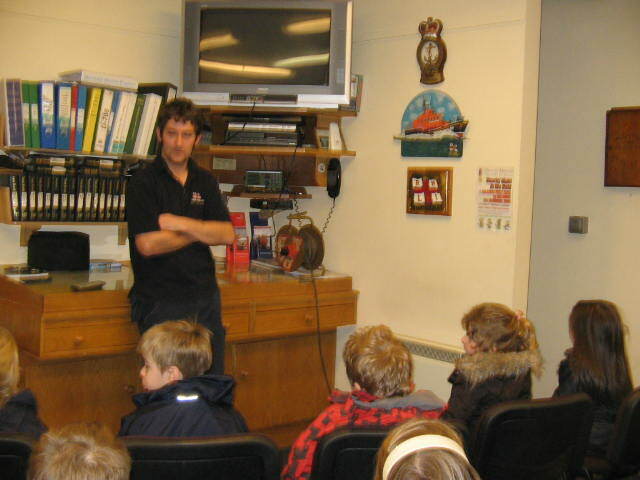 First we watched a video about what lifeboat workers do. 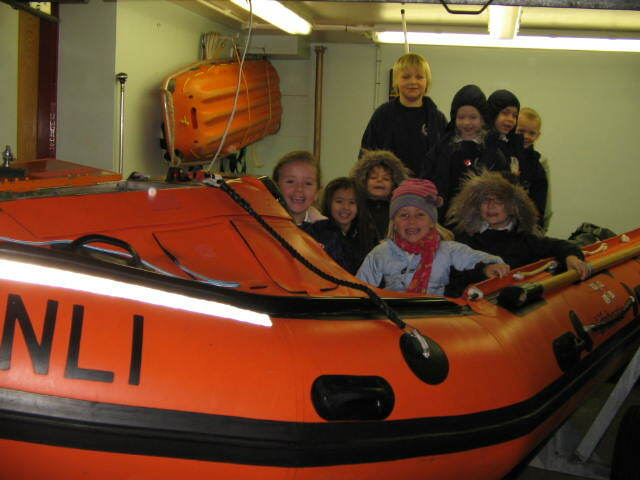 Next we went in a lifeboat – but not on the sea. 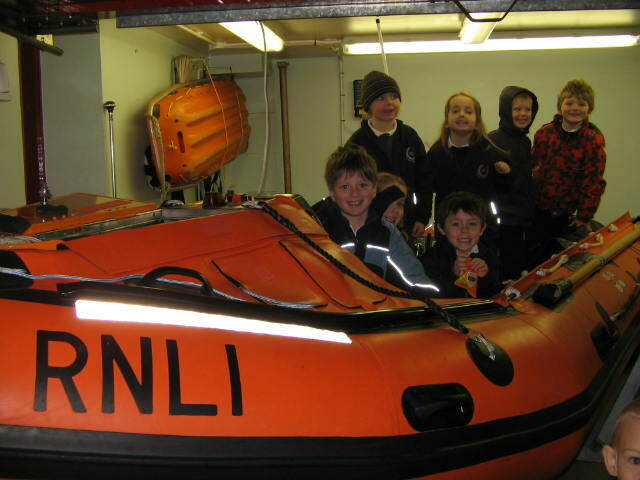 Kenny showed us all the things you need to have in the lifeboat. He is the lifeboat engineer. We also saw the rescue jeep and got our photo taken. They need to have a rescue jeep because the big lifeboat is kept at Torness and the workers need to be able to get there quickly. 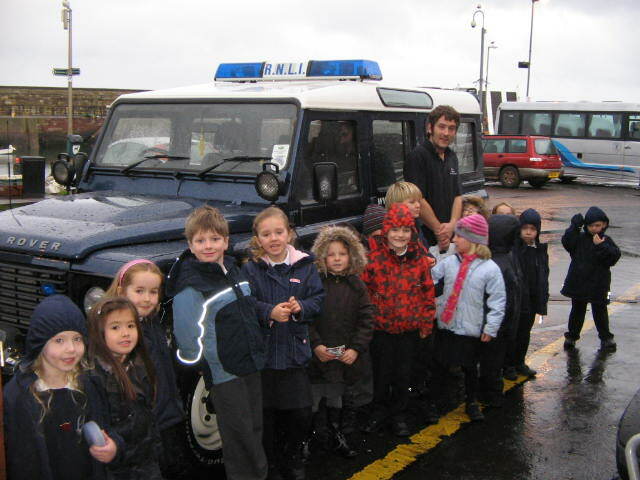 After the lifeboat centre we went to Dunbar leisure centre. There we met Cathy who showed us around. Cathy is a lifeguard. 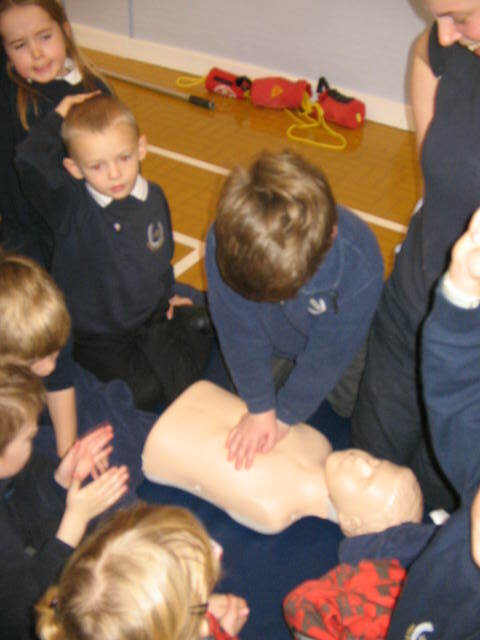 After our tour we went to the activity hall and did first aid. We bandaged our classmates and practiced our CPR on Ann the dummie. 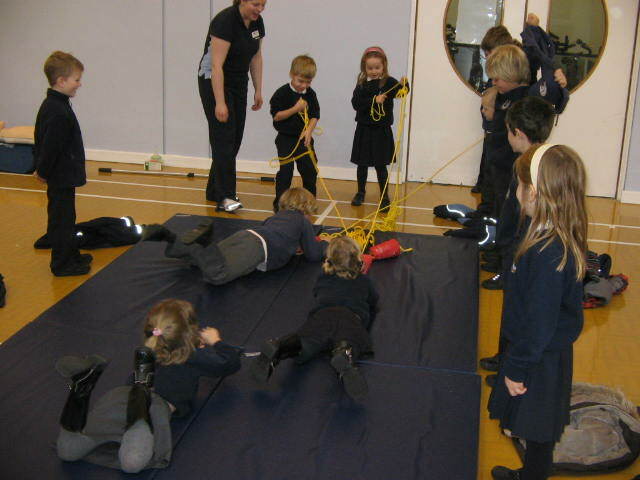 Then we role played at being lifeguards and resuced our friends from the ‘pool’. We learned lots on our trip and would like to go back again. We returned to school feeling happy…and hungry. We had a good day. 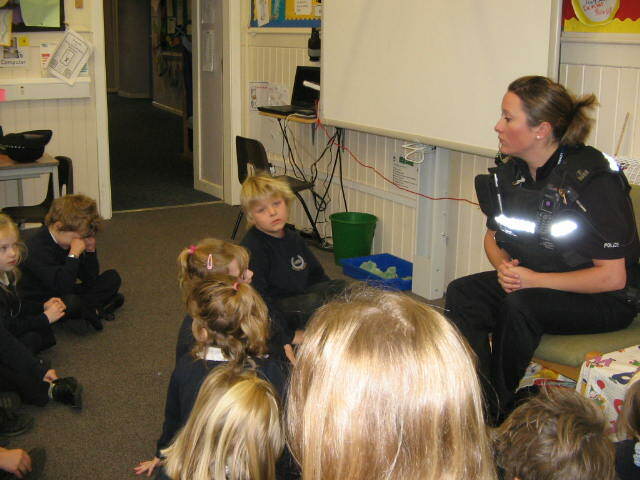 Today we were visited by PC Lynn Black who came to give us a talk on People Who Help Us and how to keep ourselves safe. 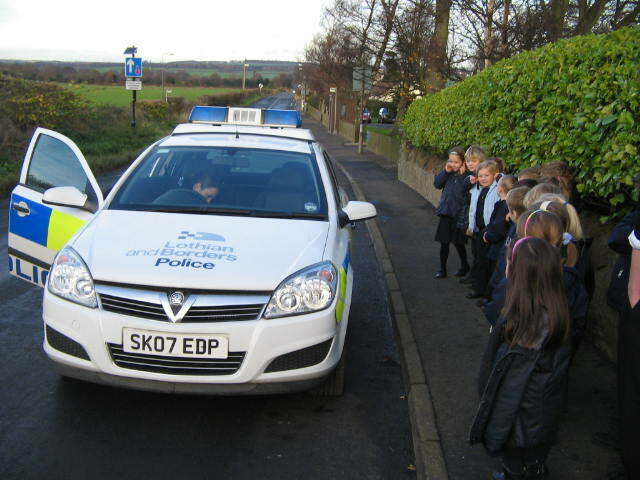 We were also lucky enough to go out and see the police car…apologies to people in their beds for the loud siren! 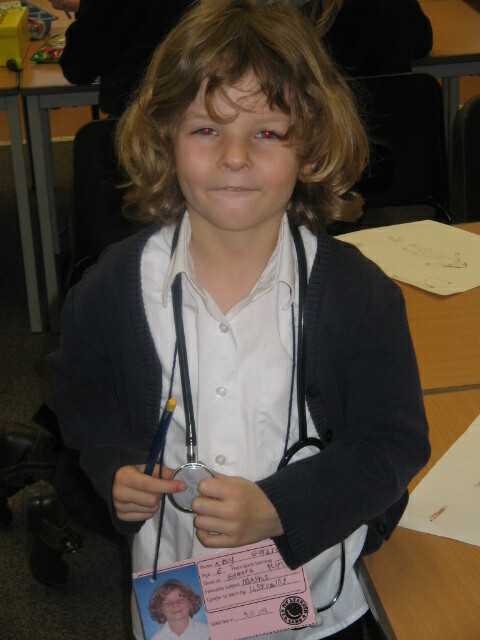 We were also visited by a nurse. Her name was Jenn. 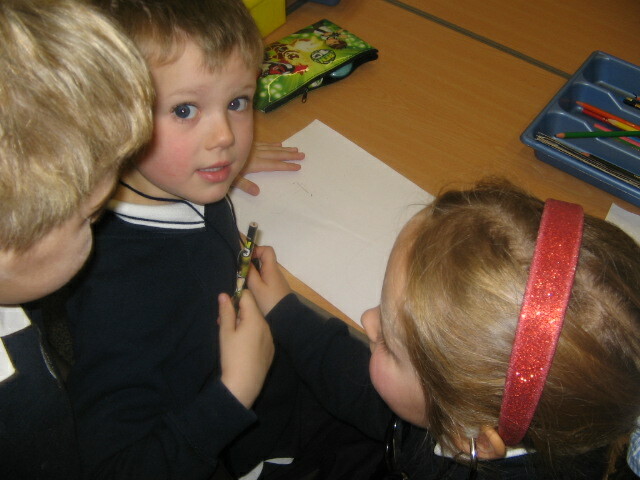 She told us about her work and we completed health checks on ourselves. 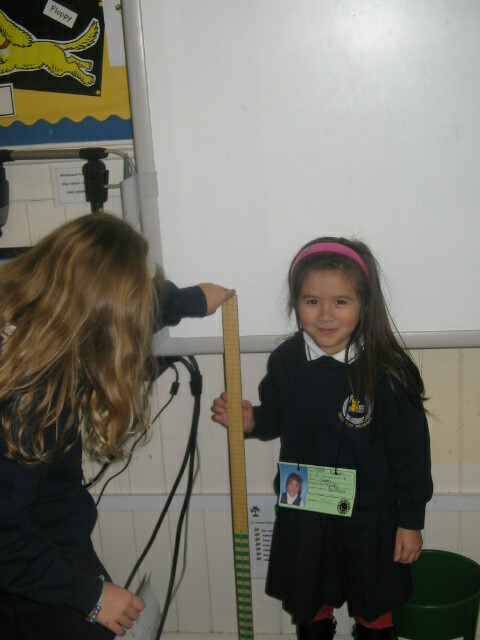 We found out our height and our pulse. 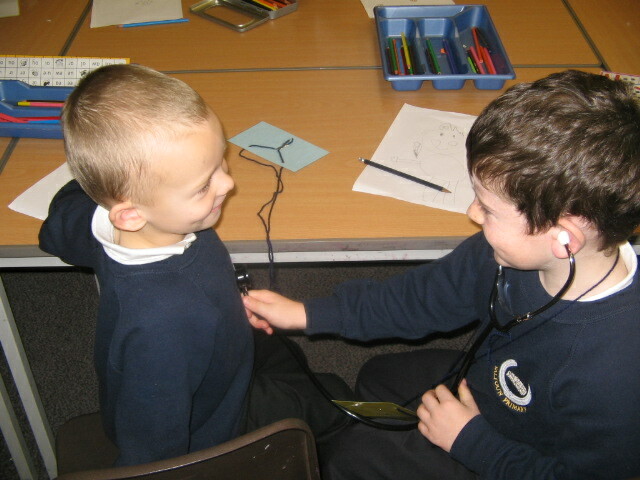 We were also allowed to use the stethoscope.